Savvy organizations know that custom lanyards are the perfect way to promote their brand, sponsorship or event. Our custom lanyards can help give your event a professional touch and are the perfect complement to your event badges, press passes and tour laminates. We offer full color, 100% customizable lanyards that can coordinate with your color scheme and are appropriate for corporate and promotional use. 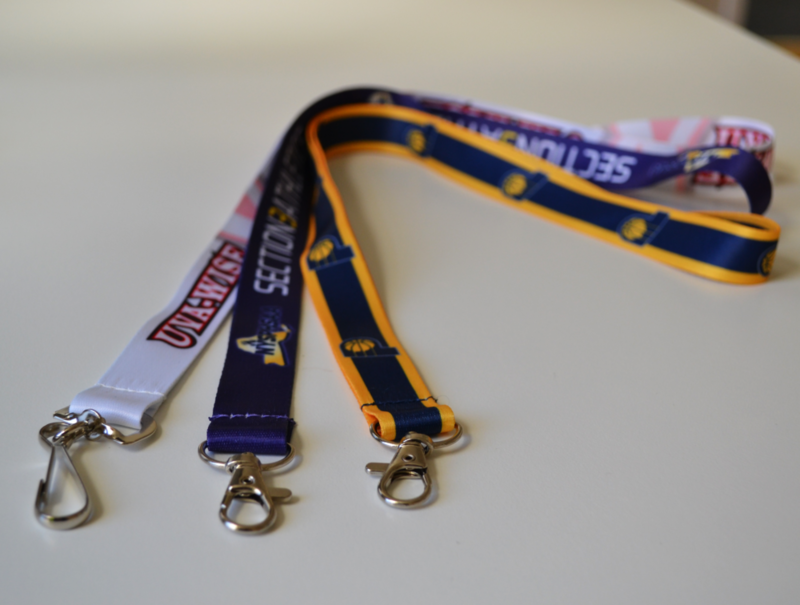 Our custom lanyards can be ordered in the standard 36 inch length or at the length you specify. Choose from dye sublimated or silk screened printing options, as well as embroidered and woven lanyards. Next, we’ll ask you a few questions about your brand’s image and your event, working closely with you to create a design that is uniquely your own. Once you are satisfied with your design, we’ll have you sign off on the proof and begin the printing process on the lanyard material of your choice. When the printing process is complete, we’ll double check your custom lanyards for quality, pack them and ship them to your door. Delivery times are based on the quantity of your order. For orders of 10,000 or less, delivery is approximately 15 business days from approval. Orders over 10,000 units typically take between 20-25 business days from approval. Want to know more? We’re here to answer your questions, simply contact us to learn more.